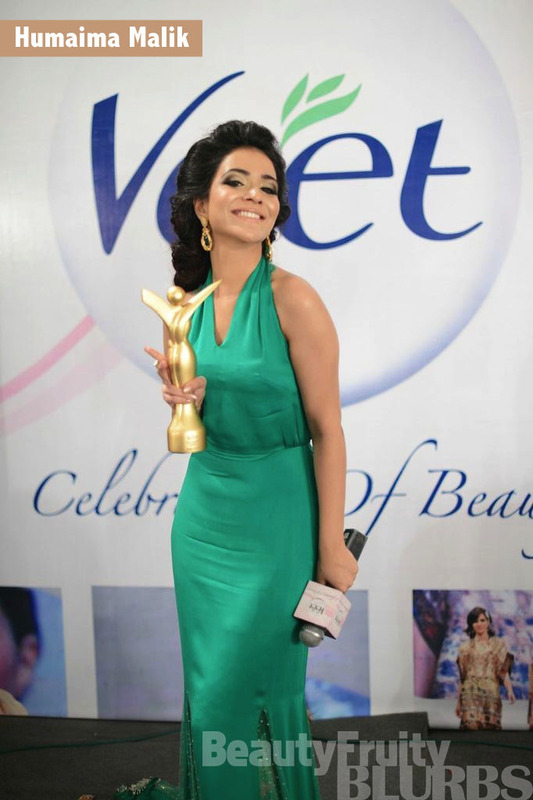 BeautyFruityBlurbs: Style Stalker: Humaima Malik At The Veet Awards! Style Stalker: Humaima Malik At The Veet Awards! Humaima Malik wears a gorgeous emerald green (how I love emerald green!!!) gown by Layla Chatoor, and her hair and make up is done by Natasha Salon!!! She looks divine - definitely the best look I have seen on her thus far, though I would've liked to see something a little more risqué from her!! What do you fashionistas think of her look? !